. Published on Monday, February 13, 2017 . From February 10-19, you can watch Disney’s “Lady and the Tramp” for a special Valentine’s Day screening at this iconic theater located in the heart of Hollywood. For $22, you can get VIP preferred seating, popcorn in a souvenir tub and a drink. Perfect for the diehard Disney fan in your life. If crowds aren’t really your thing, why not watch a movie from the comfort of your car? Experience a real throwback by visiting a nearby drive-in theater because before you know it they might be gone! You can view a list of local drive-in theater options here. 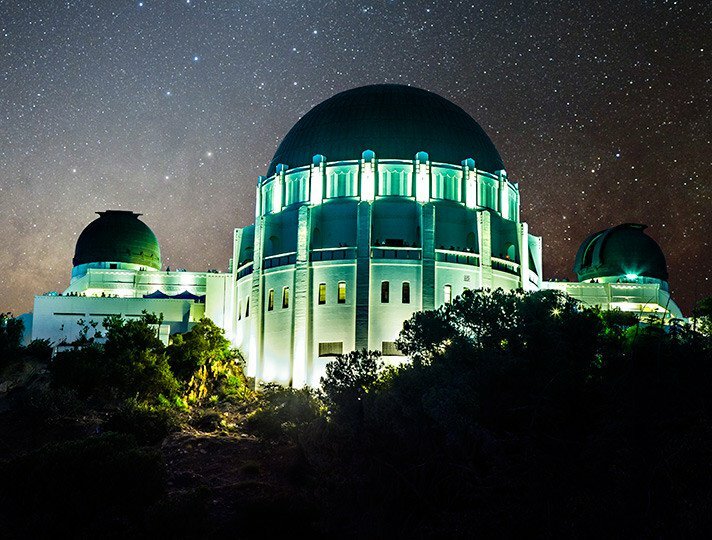 For the active loved one in your life, you should consider taking them on a scenic hike through Griffith Park and end with a walk through the observatory. While admission to the observatory is always free, it’s also nice to catch a showing inside the Samuel Oschin Planetarium, which runs around $5 for students. But even without the showing, the observatory has enough to keep you entertained. Now, this isn’t your ordinary library. Not only does this library contain early editions of Shakespeare’s work, but it also contains an impeccable art collection and remarkable botanical gardens. Make sure to give yourself enough time when you visit because the grounds are huge and you’ll want plenty of time to take it all in. Also, make sure to bring a camera or have your phone fully charged. It’ll be hard not to take a picture. Even though the library is closed on Tuesdays, maybe this can be a something to do on another day for those that can’t make it out on actual Valentine’s Day. Want to get wild on Valentine’s Day? Well, what are you waiting for? Grab a loved one and head over the Los Angeles Zoo! And for those who really want to get wild, you can buy tickets to feed a giraffe for only $5. If you’re up for a drive and want to try something unique, visit the Integraton and experience something truly out of this world. According to their website, Integraton “is based on the design of Moses’ Tabernacle, the writings of Nikola Tesla and telepathic directions from extraterrestrials.” This historic one-of-a-kind wooden dome hosts visitors from a wide-range of disciplines, such as musicians, scientists and therapists. Due to its specific location and design, it is said to be a generator of rejuvenation. Intriguing, isn’t it? If you can’t leave campus because of school, don’t worry the Bronco Student Center (BSC, Bldg. 35) has you covered! Stop by the Games Room Etc. (Bldg. 35-1110) at the BSC from 4-6 p.m. for some free billiards, game console gameplay, foosball, bowling and pingpong. Oh, and did I mention the free food? What are your plans for Valentine’s Day, Broncos? Share with us by using the hashtag #CampusCropChat on Facebook, Instagram and Twitter. Don’t forget to follow us on Snapchat @ASICPP!